We’d love your help. Let us know what’s wrong with this preview of Sketches from a Hunter's Album by Ivan Turgenev. To ask other readers questions about Sketches from a Hunter's Album, please sign up. Would like to read the Hunter's Album, can I? Leif Yes. Everyman's Library has an excellent edition available for purchase through Amazon. It is known as "A Sportsman's Notebook"
Ivan Turgenev is probably the least known of the Russian trio of Dostoyevsky, Tolstoy and Turgenev but nonetheless you should read him if you want to boast that you’ve read ‘the Russians’. Sketches from a Hunter’s Album is a lesser known work of this lesser known Russian, written before his big novel Fathers and Sons. “Oh, you think everyone's interesting. That's because you're a Red. I don't. I believe that quite a lot of people were just manufactured when God was thinking of something else," say Ivan Turgenev is probably the least known of the Russian trio of Dostoyevsky, Tolstoy and Turgenev but nonetheless you should read him if you want to boast that you’ve read ‘the Russians’. “Oh, you think everyone's interesting. That's because you're a Red. I don't. I believe that quite a lot of people were just manufactured when God was thinking of something else," says a character in Mortimer's 'Paradise Postponed' and Turgenev must obviously be "a Red" because he finds all his subjects in those little sketches immensely interesting. In just a few pages he extracts what is important about a character and make him as vivid as if we met the chap ourselves and drank vodka with him. (He does also write about women). Upon a first glance these are just beautiful pastoral stories filled with love for the Russian landscape and its people, but obviously they are not as innocent as they appear or Turgenev wouldn't get arrested on their account. Nowadays we might wonder what was so outrageous about them but in Tsarist Russia you simply couldn’t say anything that would question the institution of serfdom (which was thriving in Russia until mid-19th century, long after it was abandoned in Western Europe, and was almost indistinguishable from slavery). Turgenev doesn’t come across as very engaged because his narrator is almost entirely removed, his only role being that of an observer, but with such an obvious injustice facts alone suffice and there is hardly any need for a commentary. Also, his perceptive portraits of all the characters speak volumes about his compassion, more than any politically engaged diatribe would. While the political angle of this book is important, it, of course, is no longer as relevant as it was. What is important, though, are the descriptions of nature and landscape. I read and re-read those wanting to teleport myself to Ukraine in summer or spring. Sadly, here I am, in dreary London, where there was no summer for the last three years. When was the last time I spent a warm summer night by a campfire? When was the last time I smelled the forest early in the morning? When was the last time I ran through the fields escaping a sudden spring shower? When did I actually wade in a river? Turgenev is right - non-hunters can envy hunters. I envy them the whole thing, bar the animal killing, as I don’t have any need for that. If you can go to some untamed countryside in a temperate climate, go. If you can’t, read Turgenev, it’s the next best thing. I don’t think there is any writer who can evoke a sense of place more gracefully than him. He also addresses the reader directly (although he does, of course, assume him to be a man), which is rather quaint and I wish more contemporary writers did that, other than in post-modernist experiments a la Calvino. I liked this book so much I also bought a Polish translation. I think Turgenev would read wonderfully in Polish. All of the stories were beautifully written but as far as content goes, my favourite ones were Bezhin Lea and the Clatter of Wheels. Interestingly, they both take place during a summer night. Give me a summer night! Or at least real spring. I’ll take spring. The Publisher Says: Turgenev's first major prose work is a series of twenty-five Sketches: the observations and anecdotes of the author during his travels through Russia satisfying his passion for hunting. His album is filled with moving insights into the lives of those he acquaints with, peasants and landowners, doctors and bailiffs, neglected wives and bereft mothers each providing a glimpse of love, tragedy, courage and loss, and anticipating Turgenev's great later works such as First Love an The Publisher Says: Turgenev's first major prose work is a series of twenty-five Sketches: the observations and anecdotes of the author during his travels through Russia satisfying his passion for hunting. His album is filled with moving insights into the lives of those he acquaints with, peasants and landowners, doctors and bailiffs, neglected wives and bereft mothers each providing a glimpse of love, tragedy, courage and loss, and anticipating Turgenev's great later works such as First Love and Fathers and Sons. His depiction of the cruelty and arrogance of the ruling classes was considered subversive and led to his arrest and confinement to his estate, but these sketches opened the minds of contemporary readers to the plight of the peasantry and were even said to have led Tsar Alexander II to abolish serfdom. My Review: This edition of "A Sportsman's Sketches" or "Sketches from a Hunter's Album" contains 13 of a possible 25 short fictions published by the tyro writer in Russia's preeminent literary magazine, The Contemporary, from 1847 to 1851. These were his first prose outpourings, designed to sustain his independent life far away from his autocratic and abusive mother. He brought these luminous, beautiful vignettes to life in partial imitation of his beloved's husband's work...Louis Viardot, much older husband of opera singer Pauline Viardot, and author of Souvenirs de chasse, a very similar collection of huntsman's memories of the countryside and people of Viardot's youth...but of his own youthful world at his mother's country estate. The stories all illustrate the young author's liberalism, his disdain for the serf system sustaining a luxurious lifestyle for some and penury and privation for most. They were hailed by his fellow liberals, and entered the canon of Russian literature on the strength of that appeal. But generations of readers will attest that what keeps people reading these vignettes is a certain deftness and facility with characters and descriptions that is so robust that it even survives translation. These are objects of rare beauty. Not much when considered as stories, they blossom into beauty when viewed as moments lived by a very acute observer. Singers is possibly my favorite of the sketches. The bleakness of the village, the unexpectedness of the singing contest in such a place, and the sheer animal drive of humans to find SOME joy in life...memorable. Kasyan from the Beautiful Lands makes me weep...the dwarf, his simple belief that the world is good but mankind is not, his strength and certainty, all in contrast to our helpless and feckless narrator...how clear is Turgenev's picture of the unfairness of privilege unearned. Forest and Steppe is, alone, the best reason I can give to you to go and get this book and read it. It shimmers. Its beauty of image and of imagination is simply unsurpassable. It is as close to perfect as any piece of writing I've ever seen. "Reading this first work of Turgenev's I tried as far as possible to prolong my enjoyment, often laying the book down on my knees; I rejoiced the naive customs and charming pictures of which I was given a delightful collection in each of the stories of this book..."
Turgenev's portrayal of life of serfs has a distant compassion and admiration, which is some times even (though very rarely and never blatantly) elegiac. This book was apparently a reaction to what he observed i "Reading this first work of Turgenev's I tried as far as possible to prolong my enjoyment, often laying the book down on my knees; I rejoiced the naive customs and charming pictures of which I was given a delightful collection in each of the stories of this book..."
Turgenev's portrayal of life of serfs has a distant compassion and admiration, which is some times even (though very rarely and never blatantly) elegiac. This book was apparently a reaction to what he observed in his country before fleeing abroad, his "Hannibal's oath" to "never reconcile to the enemy: serfdom". Now reactionary writing can defile stories with outside motivation. Not so the case here. His energy is channelized in serving us subtle, (overtly) nonpartisan portraits. He, a hunter (a disguise for peeking into the country life), acquaints himself with hordes of characters, coming in their touch for renting places to spend nights at, for finding helpers and horses and hooch. He is ever friendly with them yet never becomes too intimate. What we read here thus is not psychologically astute observations or sermons on moral uprightness and simplicity, but anecdotes - chance encounters, gossips, confessions that very naturally branch off from shop talks and hunting expeditions; all that form in our mind slight, hazy pictures that, we can appreciate how, would challenge the ill conceived notions of those times about serfs. A classic survives its age; it remains alive not as annals of times passed, or as a conveyor of the human sensitivity then. It survives because it offers that the value of which does not decay with time. A Hunter's Sketches here offers - what I would call - stillness. One may be completely oblivious to the political and social situation this book was written in, and yet one would find a gold mine of content for intellect and soul. "It will be a fine day tomorrow, " I remarked looking at the clear sky. "No, it will rain," Kalinych replied, "the ducks yonder are splashing, and the grass smells strongly." We drove into the copse. Kalinych began singing in an undertone as he jolted up and down on the driver's seat, and he kept gazing at the sunset. The next day I left the house of Mr. Polutykin. And guess what? In next few paras he describes the marvel in hunting with a gun and a dog through forests and steppes, in spring and autumn and summer and winter, night and day. Sometimes he is so warm you get goosebumps. This book will always remain on my bookshelf, to be dusted and frequented, to be smelled and kissed; after a busy day at office you don't need wine and music, you need a Turgenev's story reclining on a settee. A quanto pare, a metà Ottocento, questo libro ebbe un grande successo perché denunciava con vigore le condizioni disumane di vita dei contadini russi, ma non è certo un pamphlet di denuncia. Uno dopo l'altro, senza espliciti ragionamenti né ideologie dichiarate, scorrono i racconti, sotto forma di ricordi di esperienze vissute andando a caccia. Ne emergono molti aspetti, situazioni e protagonisti della vita nella vasta campagna russa: grandi e piccoli proprietari, servi ricchi e poveri, stravaganti e vagabondi, gruppi di ragazzini che si raccontano storie di paura e amministratori che imbrogliano i padroni, orgogliosi nobili senza il becco di un quattrino e bellissime donne ridotte a una penosa immobilità; ogni tipo di uccello e il suo canto, la vegetazione sulle rive dei fiumi, boschi e paludi, molti cavalli, e carrozze, e cani. Sembra quasi di sentire le pause e le accelerazioni della narrazione ad alta voce da parte del cacciatore: girovago, sfaccendato, curioso del mondo e dei suoi abitanti, conversatore; con un punto di vista comunque “signorile”, ma con una notevole partecipazione umana rispetto a tutti gli strati della società, a tutte le condizioni e i periodi della vita. Like a lot of my five-star books, this one has significance to me that extends beyond the words on the page. Years ago I got to talking about books with a really beautiful bartender at the old San Francisco Brewing Company. I said how I hadn't read much of the Russians (echoing something Ezra Pound says in Hemingway's A Moveable Feast. I think Pound actually says Rooskies). The woman put her hands over her heart and looked to heaven: "Oh Turgenev!" she said. "Turgenev!". Obviously that tugged my Like a lot of my five-star books, this one has significance to me that extends beyond the words on the page. Years ago I got to talking about books with a really beautiful bartender at the old San Francisco Brewing Company. I said how I hadn't read much of the Russians (echoing something Ezra Pound says in Hemingway's A Moveable Feast. I think Pound actually says Rooskies). The woman put her hands over her heart and looked to heaven: "Oh Turgenev!" she said. "Turgenev!". Obviously that tugged my interest. A few years later I was browsing in a bookstore in Kathmandu--which is a very good book town, in case you didn't know--and found a little volume of A Hunter's Sketches. It was a very interesting edition: published in Moscow, but in English. The binding, boards and end papers were all of very high quality. There was even a little red ribbon book mark sewn in. Of course I bought it. 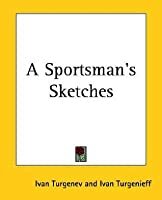 A Sportman’s Notebook comprises 25 stories that center on the sportman’s (that is, the hunter’s) life. The stories freely and poignantly portray the hardships of life in rural Russia at the time; in particular the plight of the peasants, who suffered much in the forms of abject poverty and abuse by their masters. It is said that Turgenev’s stories contributed to Tsar Alexander II’s decision to liberate the serfs. The stories extend beyond mere socio-political criticism, however; Turgenev, as is his wont, describes the countryside and its inhabitants with great feeling and vividness. Henry James, contemporary and friend of Turgenev, complained of the atmosphere of unrelieved sadness in the latter's writing; and, surely, you are left every now and then with a feeling of having been kicked in the gut. Of all other writers that I know, Hemingway comes closest to emulating this effect; and he, of course, was a great admirer of Turgenev, calling him the greatest writer ever, and citing A Sportman’s Notebook as an example for his own short stories. There is much more to be said, but I’m feeling ill, so I’ll cut the review short, at least for now – perhaps I'll add to it later. It was, is, and always will be. Of all the Russians, Turgenev, I think, was the most compassionate. I bought this for the cover art. I love everything about Jevgraf Fiodorovitch Krendovsky's 1836 painting Preparations for Hunting (in the Tretyakov Gallery, Moscow). The calm, subdued, but rich color palette, the glances the young hunters, and the young boy on the left, are giving each other, the angles of arms and legs, the devoted hunting dog with its paw on its master's leg, the attention to details of fashion and outerwear. It many ways it's a perfect choice for cover art for the book (so much cover art is incomprehensibly ill-matched). These sketches by Turgenev almost all begin with a hunter setting out on a hunt, with a hunting companion or alone, on his horse or in some kind of cart or carriage, with his hunting dog. And the hunting going on here is an upper class pursuit. We can tell from the painting that that's an upper class residence, upper class young men. When the lower classes "hunt," it's usually called poaching, because hunting involves land, and landowners, and private property. So when Turgenev's first person narrator goes out hunting in one sketch, and the landowner confronts him and asks him what he's doing, the situation quickly resolves because they're two aristocrats and the aristocratic privilege to hunt is extended from one landowner to another. As Richard Freeborn's excellent introduction explains, hunting is the pretext for these sketches. What they're really about, which the Russian government understood because it exiled Turgenev to his estate after the Sketches were published, is the terrible conditions of serfdom and servitude in Russia. Every sketch contains some poor wretch who is cold, hungry, or orphaned, or whose master won't allow him or her to get married, or won't sell her to a man who wants to marry her (! ), or some serf being administered a beating by the landowner's bailiff, or some woman being beaten by some man, and most of them contain unhappy dogs who are never fed or burrow into the ground from cold and hunger. In spite of the subject matter, Turgenev maintains a certain calm distance from it. I wouldn't say there's a consistent tone of irony throughout, but occasionally irony is put to brilliant use, as in this passage from the first sketch, "Khor and Kalinych:"
While out hunting in the Zhizdra region I became acquainted with a small Kaluga landowner, Polutykin, also a passionate hunter and, consequently, an excellent fellow. Admittedly, he had acquired one or two weaknesses: for instance, he paid court to all the rich young ladies of marriageable age in the province and, being refused both their hands and admission to their homes, confessed his grief heartbrokenly to all his friends and acquaintances while continuing to send the young ladies' parents gifts of sour peaches and other raw produce from his garden; he was fond of repeating one and the same anecdote which, despite Polutykin's high opinion of its merits, simply failed to make anyone laugh; he was full of praise for the works of Akim Nakhimov and the story Pinna; he had a stammer; he called his dog Astronomer; instead of however he used to say howsoever, and he introduced in his own house a French cuisine, the secret of which, according to his cook's ideas, consisted in completely altering the natural taste of each dish: in the hands of this culinary master meat turned out to be fish, fish became mushrooms, and macaroni ended up dry as powder; moreover, no carrot would be permitted in a soup that had not first assumed a rhomboidal or trapezoidal shape. But apart from these minor and insignificant failings Polutykin was, as I've said, an excellent fellow. "Let Astronomer be seated!" exclaimed Polutykin pompously. Fedya, not without a show of pleasure, lifted the uneasily smiling dog into the air and deposited it on the floor of the cart. In another sketch a landowner is attempting to teach his poodle the ABCs, which the dog unhappily refuses to learn. "He gave the dog a shove with his foot. The wretched dog rose up calmly, let the bread drop off its nose and walked away, deeply offended, into the hallway literally on tip-toe. And with good reason: here was a stranger come to visit for the first time and look how they treated him!" In his Preface to "The Seasons" the Scottish poet James Thomson wrote, "I know no subject more elevating, more amazing, more ready to poetical enthusiasm, the philosophical reflection, and the moral sentiment than the works of nature. Where can we meet such variety, such beauty, such magnificence?" This is a theme that runs through the Sketches From a Hunter's Album. The beauty of the sylvan glade or the summer sun glistening off the meadows flowers is brought to life by the prose of Turgenev in In his Preface to "The Seasons" the Scottish poet James Thomson wrote, "I know no subject more elevating, more amazing, more ready to poetical enthusiasm, the philosophical reflection, and the moral sentiment than the works of nature. Where can we meet such variety, such beauty, such magnificence?" This is a theme that runs through the Sketches From a Hunter's Album. The beauty of the sylvan glade or the summer sun glistening off the meadows flowers is brought to life by the prose of Turgenev in these vignettes. Certainly the characters are also finely drawn and include all social stratas while emphasizing the narrator's interactions with peasants and serfs. It is the latter that impress the reader by the respect and generosity with which they are treated. The combination of fascinating characters and beautiful nature writing made this book a joy to read. I found myself looking forward to the next chapter with expectation that I would be treated to another even more interesting facet of the countryside and its denizens. I was not disappointed until the end of the book and only then because I did not want it to end. So much warmth in here, humor, good old-fashioned fun of a Russian hunter traversing fields and steppes and forests, shooting game and meeting a whole array of amusing characters, including dogs, horses, and pigs. The tragedy of Russian peasantry goes here hand-in-hand with loving observations, small beautiful moments, particularly those about nature. I could smell them. This one transported me back the old Russia of 1850s, Russia of my childhood. Turgenev is different from both Tolstoy and Dostoyevsky, yet their equal in stature, a true master of prose. Sketches depict life of peasants and landlords in pre-1850(before serfdom was abolished)Russia, from the eyes of a nobleman hunter, always on the move, as he passes through all forms of life, observing with equanimity and keenness, all sorts of cruelty, wretchedness, and quirks and foibles of people around him. This one transported me back the old Russia of 1850s, Russia of my childhood. Turgenev is different from both Tolstoy and Dostoyevsky, yet their equal in stature, a true master of prose. Sketches depict life of peasants and landlords in pre-1850(before serfdom was abolished)Russia, from the eyes of a nobleman hunter, always on the move, as he passes through all forms of life, observing with equanimity and keenness, all sorts of cruelty, wretchedness, and quirks and foibles of people around him. His love of nature is equally obvious and as beautifully shown here as his trenchant observation (and occasional commentary) of the life of his times. Which also means the book might not be an easy read if you are not a nature-lover, as these are sketches, not a centralized story. One of the finest books I've ever read. It sits on the top shelf with those few select novels that really changed my life. Historically, the book was instrumental in swaying public opinion, particularly among the aristocracy, towards emancipating the serfs. The stories are really the account of a cultural anthropologist disguised as a 'sportsman'. He isn't really terribly interested in hunting; no, his true fascination is with the peasants that accompany him and that he encounters along the way. One of the finest books I've ever read. It sits on the top shelf with those few select novels that really changed my life. Historically, the book was instrumental in swaying public opinion, particularly among the aristocracy, towards emancipating the serfs. The stories are really the account of a cultural anthropologist disguised as a 'sportsman'. He isn't really terribly interested in hunting; no, his true fascination is with the peasants that accompany him and that he encounters along the way. While he views them very much through the lens of a country gentleman, his insights, empathy, and resonance of the human condition penetrates class and makes for some extraordinary moments. Highly recommend. I'd also read this before 'Fathers and Sons' for context. A truly excellent collection of short stories. I confess that Turgenev's most popular work left me cold, but this more than made up for it. Excellent stories and parables about the nature and beauty and tragedy of life across all layers of society. The only fault I could find was almost certainly due to the clunkiness of the translation, which I won't let detract from my admiration this time. Excellent stuff. Beautiful sketches. He has a wonderful sense of place - lovely and effective location descriptions, tinged with emotion, that impart a sense of immediacy and richness to the delicate personal encounters at the heart of each story. Simple subject matter is given such sensitive treatment that one can find all sorts of things under the surface. A memorable, atmospheric evocation of a particular time, place, and society. Suggested to me by Hemingway, who was reading it in A Misspelled Moveable Feast, and I had to read it, too. And I took it on a deer-hunting trip to Maine, and we got snowed in, and the Franklin wood-burning stove glowed in the kitchen for days as I read and I read and was completely submersed in Turgenev's magical world of peasants and hunting noblemen. Sometimes where you read a book stamps it forever in your heart. To read the criticism and blurbs about the political import of Turgenev's masterpiece is to miss the point entirely. This isn't a book about socio-economic inequality or even a book about tyranny and oppression. He makes no judgements other than to say that some habits of society can be a little constricting and sometimes pointless. The real joy of this book is in the reading. Trees, shrubs, birds, serfs, generals, and gentry are all treated with equal love, precision, and delicacy. One gets the To read the criticism and blurbs about the political import of Turgenev's masterpiece is to miss the point entirely. This isn't a book about socio-economic inequality or even a book about tyranny and oppression. He makes no judgements other than to say that some habits of society can be a little constricting and sometimes pointless. The real joy of this book is in the reading. Trees, shrubs, birds, serfs, generals, and gentry are all treated with equal love, precision, and delicacy. One gets the impression that Turganev loved Russia, warts and all, and wanted anyone who cared to listen to feel the same. The lyricism of this book is tremendous, but the stories can hardly be described as compelling. i don't know turgenev's more famous books, novels. they seem to be dryly witty dramas of aristocratic families. this book, by contrast, concerns the peasantry - the serfs - the slaves - but through the eyes of a young and very observant aristocrat supposedly surveying the vast estates he has recently inherited. it's a book of linked short stories with a consistent narrator who generally stays out of the way, except in the sense that the stories he witnesses so often lay bare the depredations of h i don't know turgenev's more famous books, novels. they seem to be dryly witty dramas of aristocratic families. this book, by contrast, concerns the peasantry - the serfs - the slaves - but through the eyes of a young and very observant aristocrat supposedly surveying the vast estates he has recently inherited. it's a book of linked short stories with a consistent narrator who generally stays out of the way, except in the sense that the stories he witnesses so often lay bare the depredations of his class. My first introduction to Russian literature. The translation was pretty amazing. This book is a collection of shorts, a portrait of serfdom in 1800s Russia. It was beautiful, heartbreaking, thought-provoking, and even funny at times. Some of the stories in particular were amazing. I personally found The Office, Death, and Living Relic to stand out from the ret, still I'd recommend reading the book in its entirety for the full effect. This is a remarkable piece of mid-19th century Russian Literature written before the novels of Tolstoy and Dostoevsky took over. 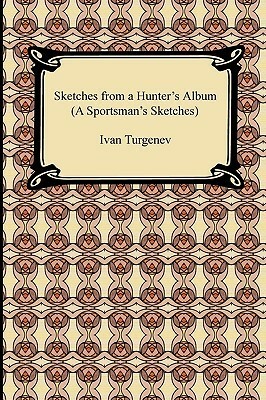 In these short sketches, based mostly on his own hunting experiences, Turgenev realistically sketches the big picture of then Russian society based on the dehumanizing practice of serfdom and of strict hierarchy as well as deftly details idiosyncrasies of people along with some beautiful yet measured prose describing natural beauty. This is the first Russian author I read, on recommendation from one Guy de Maupassant (who came to me by way of recommendation from one E. A. Poe), and served as my entrance to literature beyond the $5.99 paperback. Five stars, but for one glaring omission which no realist portrait of rural Russia in any century can surely be forgiven: mosquitoes. Bu kitaba sırf bir kitap topluluğunun etkinliğine katılabilmek adına başlamıştım. Daha önce hiç Turgenyev okumamamıştım. 100 sayfanın ardından bıraktığım bu kitabından sonra da açıkçası okumayı düşünmüyorum. Peki neden? Turgenyev kitapta 1850lerin Rusya'sını anlatıyor. O dönemin insanlarını karakterize ediyor. Buraya kadar güzel ancak o kadar yoğun bir doğa betimlemesi var ki, eğer benim gibi şehirliyseniz ve daha önce maalesef ki köy-doğa hayatını deneyimlemediyseniz o betimlemelerin hepsi havad Bu kitaba sırf bir kitap topluluğunun etkinliğine katılabilmek adına başlamıştım. Daha önce hiç Turgenyev okumamamıştım. 100 sayfanın ardından bıraktığım bu kitabından sonra da açıkçası okumayı düşünmüyorum. Peki neden? Turgenyev kitapta 1850lerin Rusya'sını anlatıyor. O dönemin insanlarını karakterize ediyor. Buraya kadar güzel ancak o kadar yoğun bir doğa betimlemesi var ki, eğer benim gibi şehirliyseniz ve daha önce maalesef ki köy-doğa hayatını deneyimlemediyseniz o betimlemelerin hepsi havada kalıyor. Onlarca kuş türünden ve bitki türünden bahsediyor ama kafanızda hiçbir şey canlanmıyor. Kurguladığı dünyanın derinliğine dalamıyorsunuz. And a summer morning in July! Has anyone but a hunter eve experienced the delight of wandering through bushes at dawn? Your feet leave green imprints in grass that is heavy and white with dew. You push aside wet bushes - the warm scent accumulated in the night almost smothers you; the air is impregnated with the fresh bittersweet fragrance of wormwood, the honeyed scent of buckwheat and clover; far off an oak forest rises like a wall, shining purple in the sunshine; the air is still fresh, but the coming heat can already be felt. Nearly all the sketches deal with the human conditions of rural Russia in his time - the laziness, folly, self-importance, and cruelty of the landowners, and the suffering of the serfs. This is usually done artfully, though some of the stories feel pedantic and heavy-handed. Most, though, have an artful quality of implying more than they say. The narrator walks into a situation, observes or talks, then goes on his way, and much is revealed about what goes on before and after the narrator's visit. The translation of a book is so important! This translation is stiff in places. It was done in the 1960's by Richard Freeborn, an Oxford-educated scholar, and the book reads like a British work of the 19th century. There is a lot of use of outdated British slang ("he came a cropper,") and he has the peasants speak with Cockney accents ("What's the good o' sticking' to 'im like a wet leaf in a steam bath, eh?) I've read that a book needs to be retranslated every twenty years, and this would be a case in point. However, the translation is better than that of the other that is available on Amazon. When you can’t enjoy a novel in the original language, then the book is only as good as the translation you have at hand. This particular edition was translated by Constance Garnett who did an excellent job of making Turgenev approachable. While somewhat pastoral through the idyllic scenery that is described in detail, Turgenev’s main focus is the people that the sportsman encounters. Through discussions and business dealings, we learn that most people are not as they initially appear. Poor, unhealthy peasants display some of the deepest wisdom while privileged and well respected gentry are abusive and take advantage of their position. Class distinctions are important in this book, but the narrator tends to take a more positive view of those well below his station. One lesson that is consistent through most sketches is that your actions have a great impact on how others treat you. Alguma da melhor prosa em russo escrita no século XIX estará aqui. Com uma leitura pelas primeiras páginas percebemos desde logo que Turguéniev nada deve, em talento literário, aos seus contemporâneos. Convenhamos, no entanto, que a esquemática do livro o favorece: trata-se de uma compilação de contos ou pequenos episódios passados em caçadas. Já como tema ulterior impera a liberdade e natureza, da terra e das pessoas (a dicotomia entre servos e nobres é esplendidamente abordada). Embora seja um Alguma da melhor prosa em russo escrita no século XIX estará aqui. Com uma leitura pelas primeiras páginas percebemos desde logo que Turguéniev nada deve, em talento literário, aos seus contemporâneos. Convenhamos, no entanto, que a esquemática do livro o favorece: trata-se de uma compilação de contos ou pequenos episódios passados em caçadas. Já como tema ulterior impera a liberdade e natureza, da terra e das pessoas (a dicotomia entre servos e nobres é esplendidamente abordada). Embora seja um livro passado na caça é, na sua temática, muito mais abrangente e entusiasmante (para "quem não tenha veia de caçador"). A escrita é fantástica na estética (que descrições...) e fluidez - quase poderia ser cantada como uma sinfonia. É recompensador para o leitor quando a narrativa é ritmada de uma perspectiva tão visual como esta, não há saltos na acção e tudo se desenrola à medida que o olhar alcança o movimento - ler é quase irónico. Fica a sensação de estar a ler algo íntimo, devotadamente executado com mestria. Nabokov, enquanto académico não pode ser fiel aos cânones, deixando-se contagiar pelas evocações mais puras de alguns destes contos, ainda assim tem razão ao afirmar que Turguéniev não é um génio - tal como ele concebe a genialidade literária - este autor não apresenta a arte como mentira, em cuidadosas fabricações e narrativas dinamicamente complexas, ao invés, fala de forma pura. Turgenev có một giọng văn tả đẹp hết sức. "Bút ký người đi săn" là tuyển tập những truyện ngắn kể lại dưới cái nhìn của một "người đi săn" hay chính là tác giả, một vị quý tộc có cái thú ấy. Truyện đi săn thật thì ít, mà hình ảnh những người nông dân cũng như địa chủ mà tác giả gặp gỡ thì nhiều. Có đa dạng loại người trong tác phẩm với đủ các tính tốt xấu, các nết quái gở, nhưng dường như ai cũng hiện lên đẹp đẽ hơn nhờ cái nhìn rất hiền hậu của tác giả. Nhưng chẳng hiểu sao tôi có cảm giác băn Turgenev có một giọng văn tả đẹp hết sức. "Bút ký người đi săn" là tuyển tập những truyện ngắn kể lại dưới cái nhìn của một "người đi săn" hay chính là tác giả, một vị quý tộc có cái thú ấy. Continuing to round out my Russian Lit repertoire, I read this. Also, this was one of Hemingway's favorites, and I can see the resemblance. But I must say, I find Turgenev mostly boring with some moments of greatness. Only the last 100 pages were really worth anything, but at least I can say I've read it. The very last Chapter, The Forest and the Steppe, which is an ode to Hunting and Russia, was by far the best. One more thing, the Garnett translation is your best bet. Ivan Sergeyevich Turgenev (Cyrillic: Иван Тургенев) was a novelist, poet, and dramatist, and now ranks as one of the towering figures of Russian literature. His major works include the short-story collection A Sportsman’s Sketches (1852) and the novels Rudin (1856), Home of the Gentry (1859), On the Eve (1860), and Fathers and Sons (1862). These works offer realistic, affectionate portrayals of th Ivan Sergeyevich Turgenev (Cyrillic: Иван Тургенев) was a novelist, poet, and dramatist, and now ranks as one of the towering figures of Russian literature. His major works include the short-story collection A Sportsman’s Sketches (1852) and the novels Rudin (1856), Home of the Gentry (1859), On the Eve (1860), and Fathers and Sons (1862). These works offer realistic, affectionate portrayals of the Russian peasantry and penetrating studies of the Russian intelligentsia who were attempting to move the country into a new age. His masterpiece, Fathers and Sons, is considered one of the greatest novels of the nineteenth century.